Today in Sirvent Horchateria we are going to explain how to make a good turrón Alicante and home. For us, the nougat of Alicante is the most authentic nougat, and largely because of its simplicity of cooking hand in our workshop, is why today we share a little of their origin and also, a recipe for what you may do it in your own home to share this Christmas. Alicante nougat along with nougat Jijona, yolk and chocolate are the most traditional Christmas nougat. 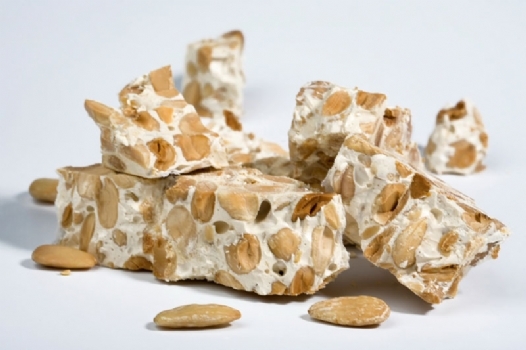 The Alicante nougat is made with a base of roasted almonds, honey, egg white and sugar. On the other hand, we must say that for consistency, extremely hard, Alicante nougat is better known as hard nougat . As we have said before, make good nougat is very simple, but the great achievement of this nougat is to achieve the ideal of hardness point, and that only due to the temperature that should catch the candy when solidifying with toasted almonds. At the same time, the weather can also influence the consistency of our nougat Alicante home, is why it depends on the environment, our nougat Alicante can be cured in a few hours or on the other hand, also it can be cured in several days . That’s why they want to do themselves and succeed with your home Alicante nougat, you do not wait to the last day to do it, better to try to do a few days earlier. Before you start to tell you the recipe nougat Alicante home, I have to say that eating craftsmen nougat is a way to eat healthily, since most craftsmen do not use additives or preservatives so that our nougat out as rich and possible healthy. Having said all that, we started Alicante nougat recipe, a recipe that Barcelona would love Sirvent the probaseis into your houses to eat this holiday season. Remember, as we said before, that the authenticity of this nougat of Alicante, is its simplicity to do, is not difficult, the only thing that can take some kind of drawback may be the realization of candy, while solidification with almonds. That said: Let’s start with the recipe! 800 gr. almondFirst, we will have to heat the honey in a saucepan. Let’s warm honey at least for about 45 minutes over low heat until all the water produced honey has evaporated. from followed him add sugar in the saucepan, mixing this with a spatula or wooden utensil, a steadily. Once we have this well homogenized mixture, the reserve and we will beat the two egg whites.When two egg whites are well thick, add it to the mixture of honey and sugar. The touch of egg whites, are those that give the nougat of Alicante your typical whitish appearance. Once we’ve beaten egg whites mixed with the previously reserved … let’s focus with almonds and reserve the mixture. Now is the time to not ignore one of the most important ingredients of our home Alicante nougat almonds; like almonds purchased we will not toast, toast the almonds will play for Alicante nougat our home, we can do it in a pan or in the same oven. 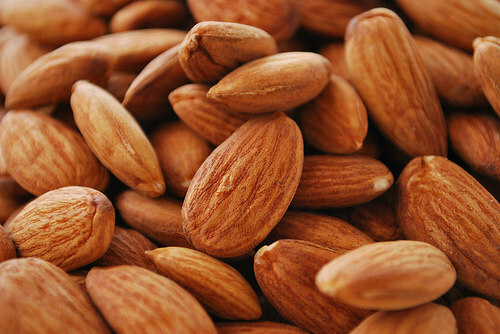 Tostaremos almonds until they are brown on its surface or to taste Cook / a. Once we have all the good toasted almonds (to taste / the chef / a) in the saucepan pour the mixture had reserved before. Let mixing energetically entire mixture with almonds finished roasting, and continue to do until the ‘paste’ is uniform good (this point is what makes the difference between a good artisan nougat and other), so the best way to get the best mixing point is to try a lot of times the same procedure. When we have the well-whipped mix, pour into a mold; a mold that should be well lined with baking paper; extend the whole mixture of honey, sugar, egg whites and almonds with a roller (slathered in oil) to our liking, and we have to consider that as more widespread equals less thickness nougat and vice versa. Finally, when we have extended well let it cool for the mixture and almonds get solidified. Let stand well in our mold and in about ten minutes of rest before our homemade nougat Alicante will be well ready to eat desserts during these Christmas holidays. This nougat not need cold for conservation or any other rule, but if you follow the recipe do not think you take too long in your home, Oh that’ll be fine rich! Now you just need to try this recipe nougat nougat at home and wonder you leave so you can all enjoy a good nougat Alicante this Christmas.